So, starting off with the design, the company has already revealed that the phone features an 18:9 display. But, there is one interesting thing, and that is the location of the fingerprint scanner. No, it is not on the front but also not on the rear. Meizu has placed the fingerprint scanner on the side, and we have seen this location on a lot of Sony phones in the past. There is a single camera on the rear with the LED Flash below the sensor. Except that, there is nothing on the rear. Now coming to the specifications of Meizu M6s, it features a 5.7-inch display with a resolution of 1440×720, i.e., 18:9 HD+ display. It is powered by a hexa-core 2.0GHz Exynos 7872 processor which is low-end processor based on a 14nm process with 4x Cortex A53 and 4x Cortex A73 cores. 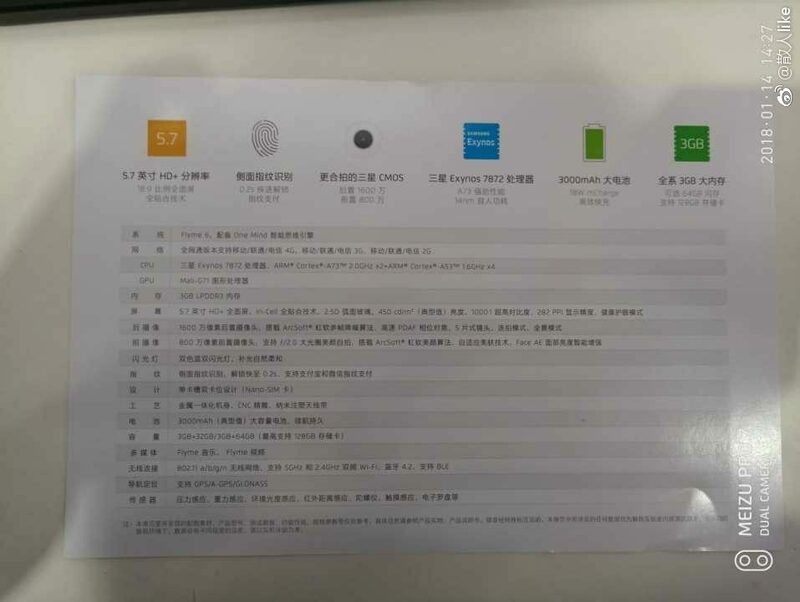 There is Mali G71-MP3 GPU. There is 3GB LPDDR3 RAM and 32/64GB internal storage. So, there is just one RAM option but two different variants with different internal storage. On the rear, the phone has a 16MP camera and an 8MP front-facing camera. Under the hood, the Meizu M6s has a 3,000mAh battery, and it runs on Android 7.0 Nougat with Flyme OS on top. Well, that’s all. The Meizu M6s is a budget smartphone so we cannot expect a lot of high-end specs. 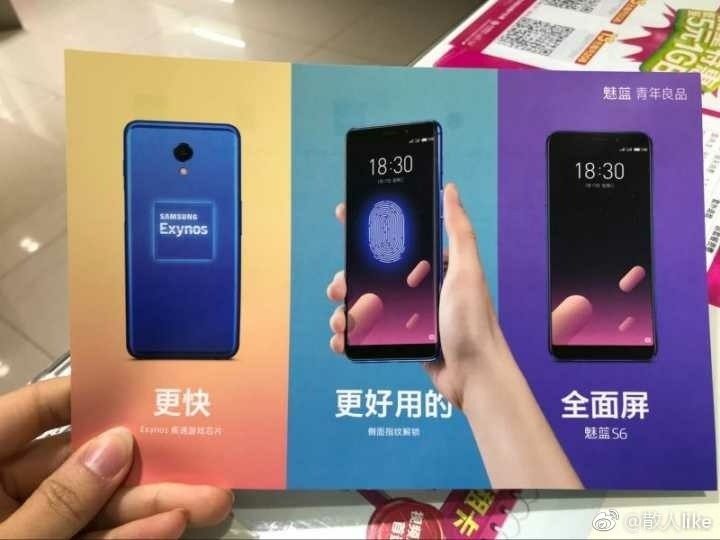 Meizu prices all its phone aggressively so it will be interesting to see the price for the M6s as there are already a lot of competition from companies like Xiaomi and Honor.